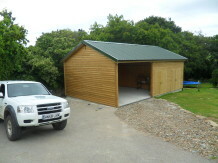 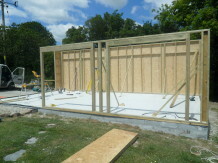 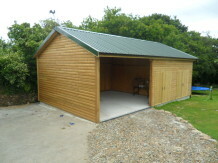 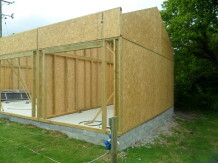 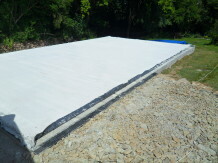 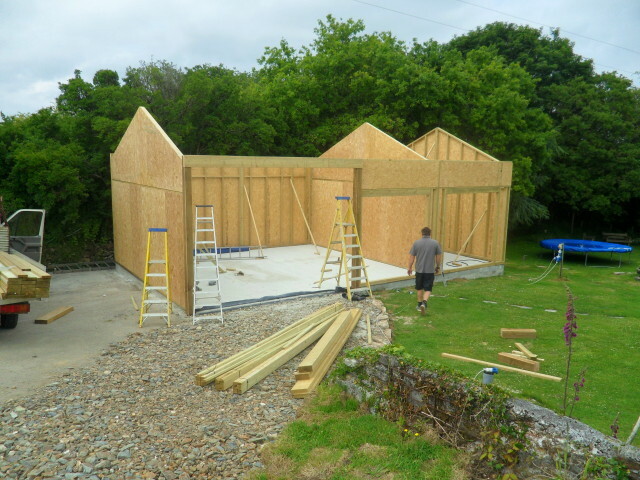 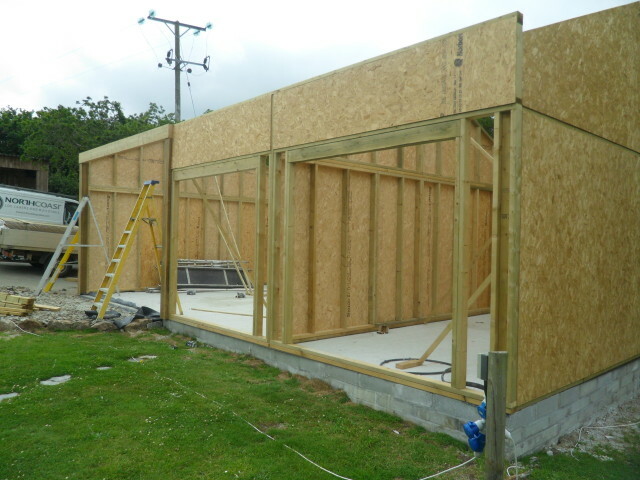 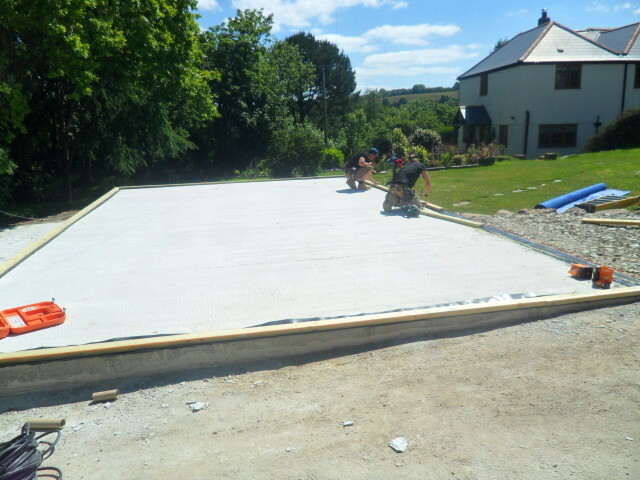 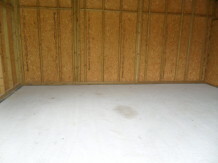 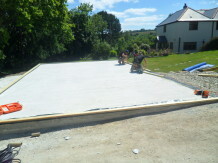 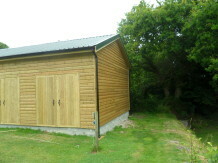 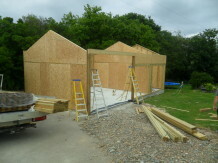 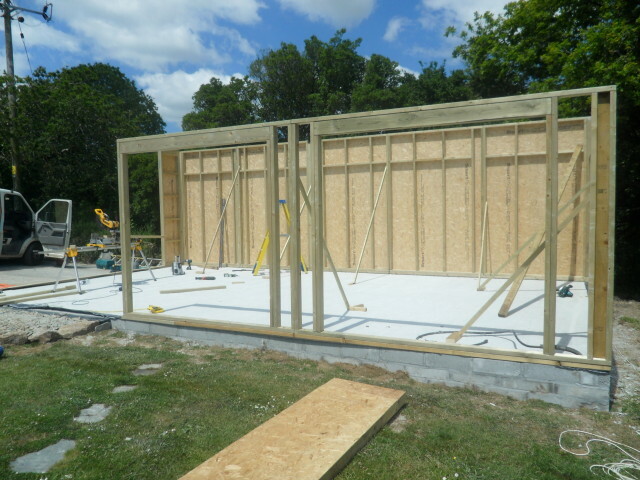 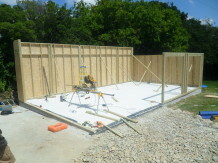 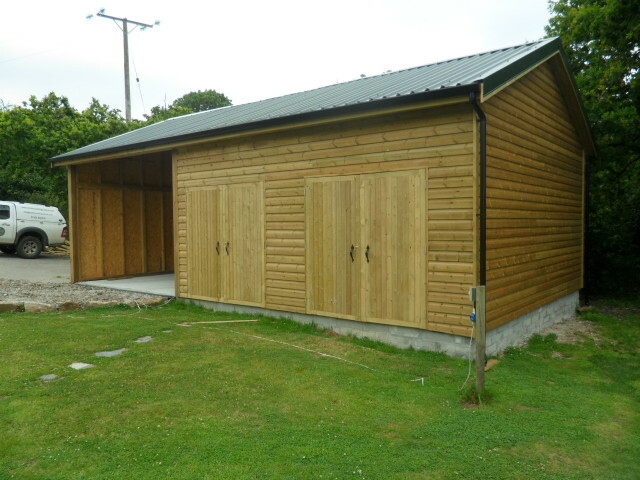 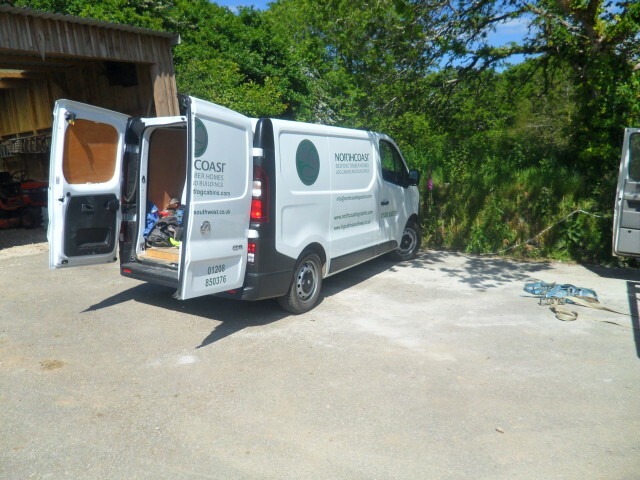 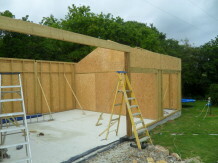 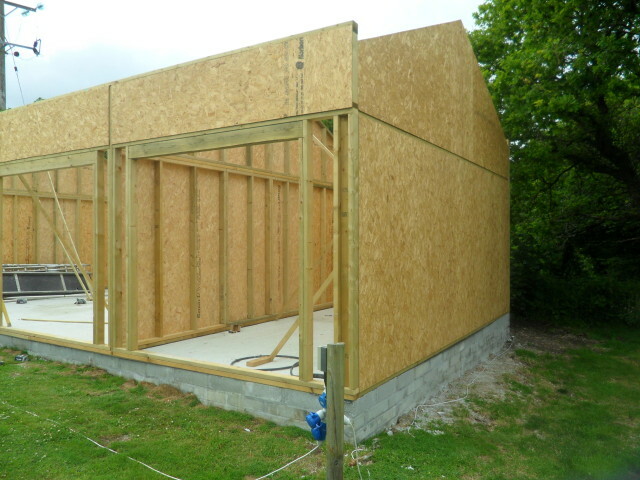 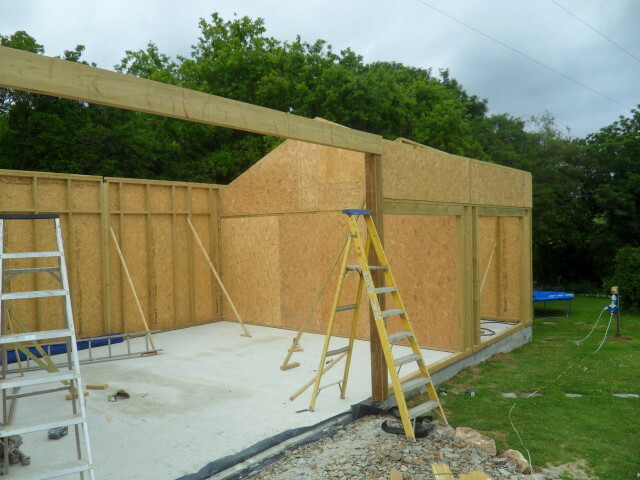 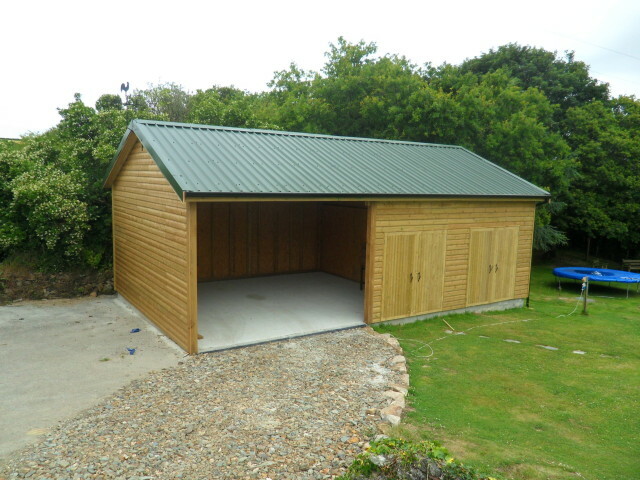 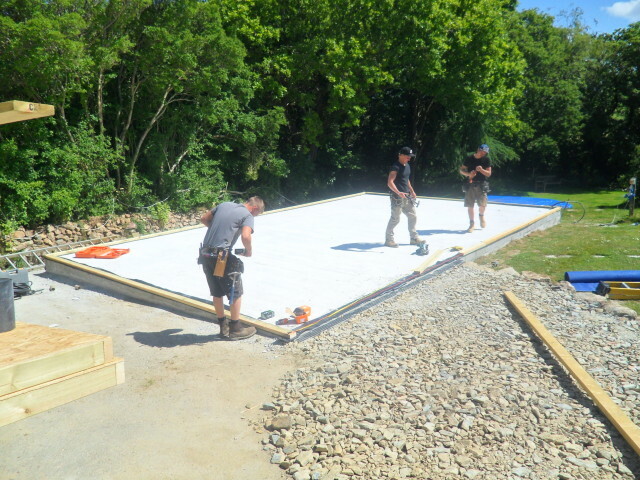 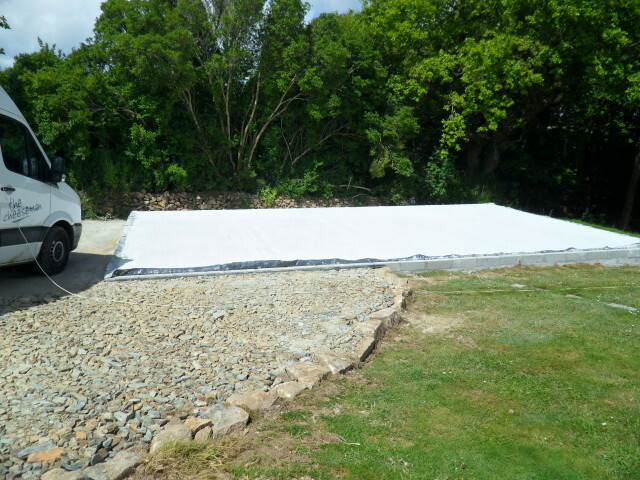 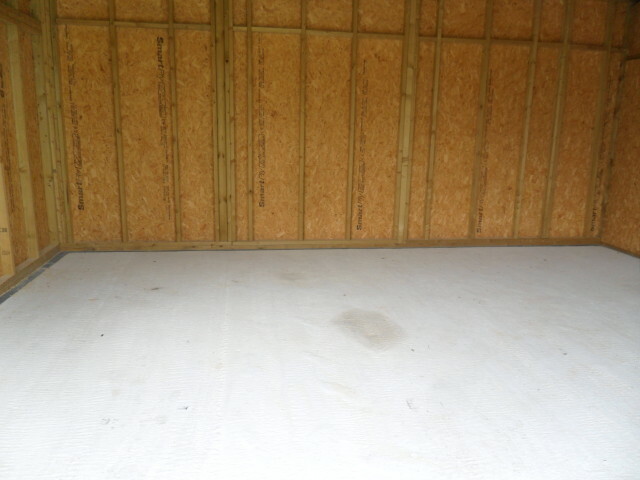 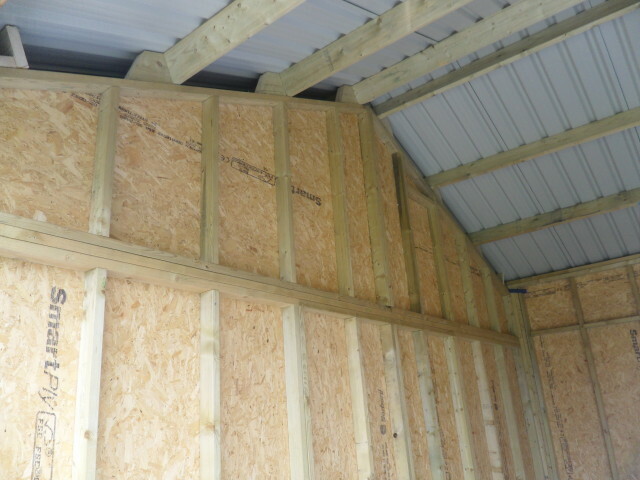 This is a bespoke timber frame garage we supplied and constructed for a local business. 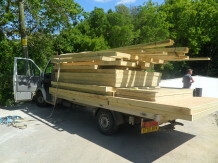 The main requirement was for the extra height for a tall work van. 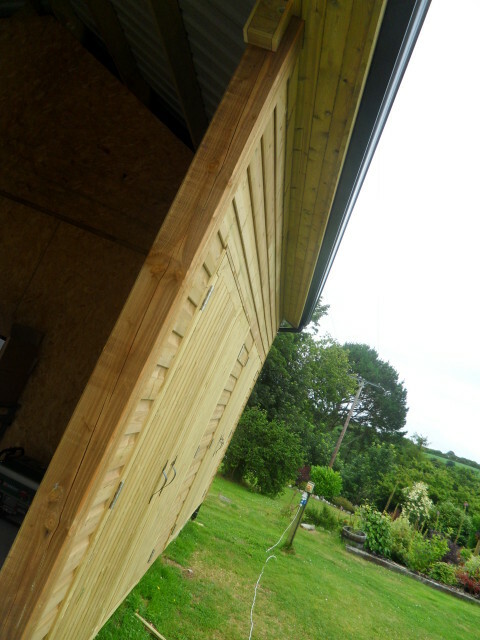 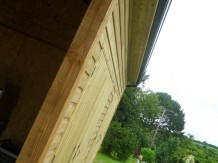 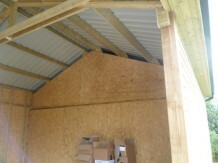 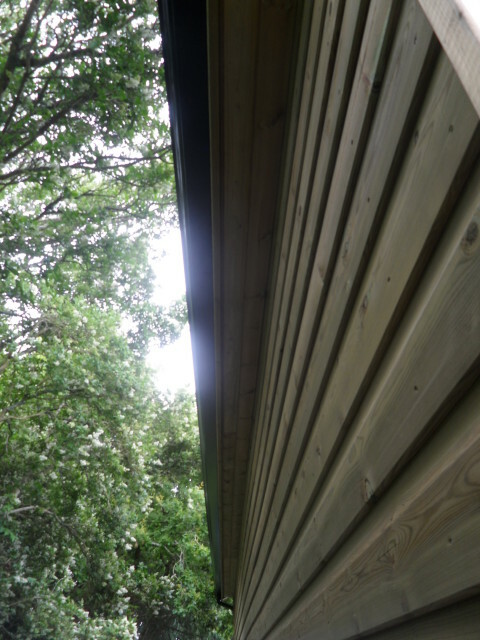 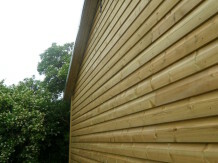 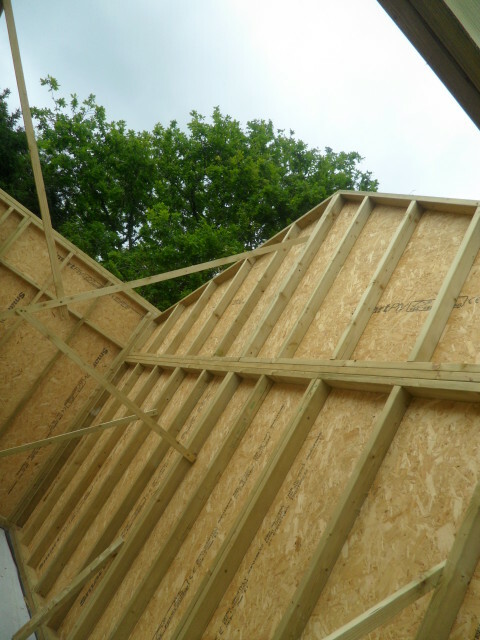 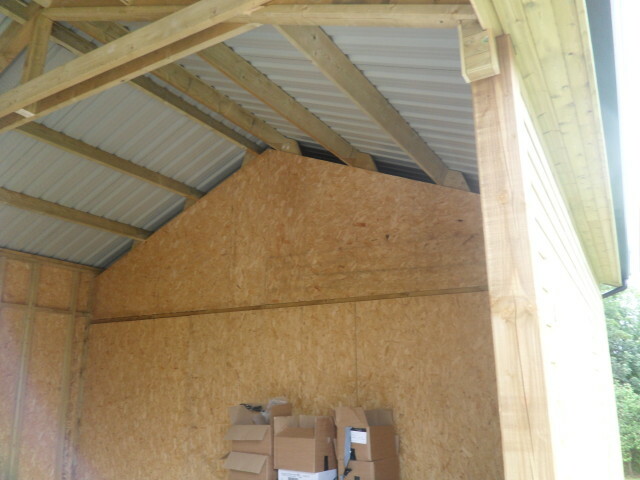 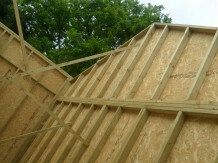 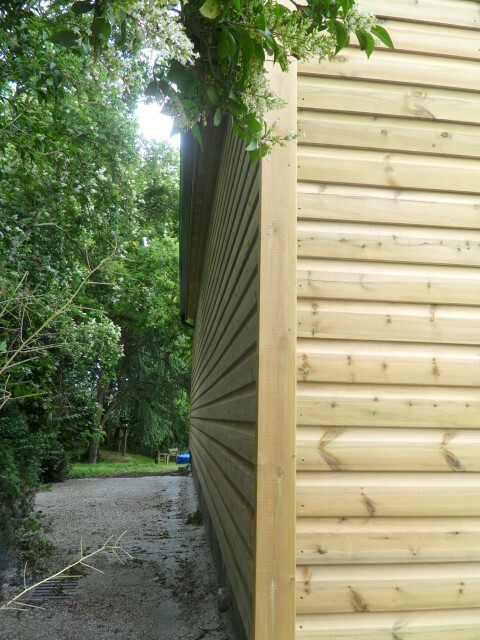 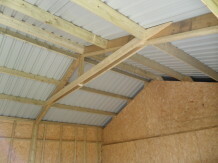 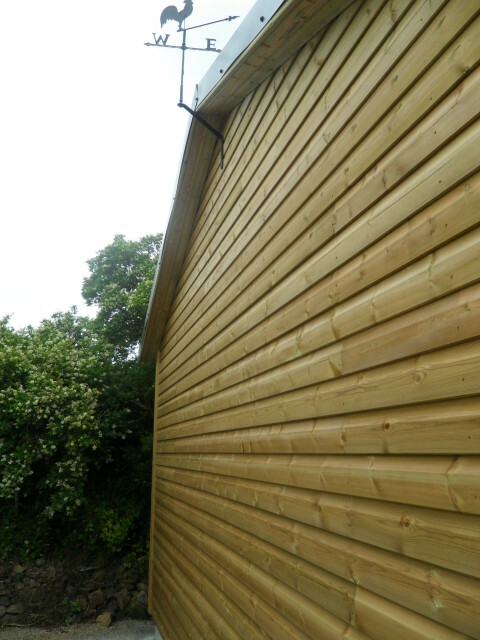 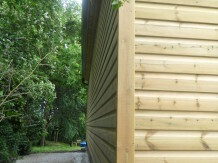 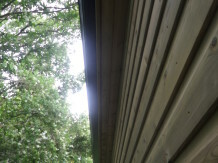 The cladding is treated softwood and the roof covering is box profile metal roofing sheets.